The Imperial estates near St Petersburg's suburbs are a must-stop for anyone interested to discover the impressive wealth and assets of the Tsars. A visit to Russia's Northern Capital is not complete without a trip to the most famous and spectacular Imperial estates near St Petersburg. Never mind if you have only 2, 3, or 5 days, you should really take time to explore the lovely city suburbs, where you can witnessing the wealth and tastes of the Emperors of Russia from Peter the Great to Catherine the Great and beyond. All of these Imperial estates near St Petersburg are charming and interesting places to roam and explore anytime of the year, though going in the Summer is much better. There you can take a relaxing stroll across sumptuous palaces, extensive landscape gardens, and enjoy a treasury of art and history. Certainly, Tsarskoe Selo or Peterhof are among the best of the world famous Imperial palaces in the city's suburbs to see. Surely you've heard of them from TV or travel magazines, so no introduction is needed. But apart from them you could also visit Pavlovsk, Gatchina, or Oranienbaum: three amazing hidden gems and off the tourist radar spots that boast unique attractions and charms as much as the famous ones, so well worth seeing. Interested? If so learn more and let your imagination be inspired by the greatness of the former Russian Tsars. 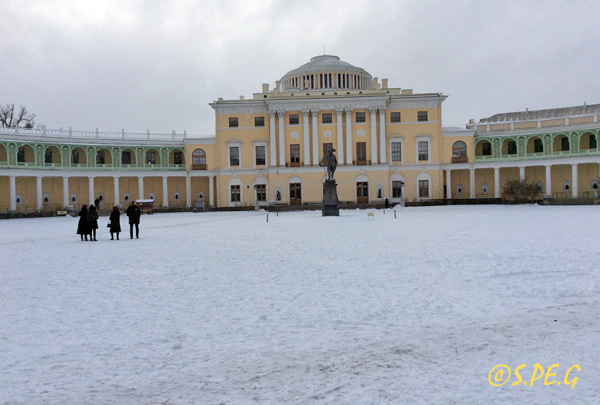 See below our list of Imperial estates near St Petersburg. To get started click on the links below. 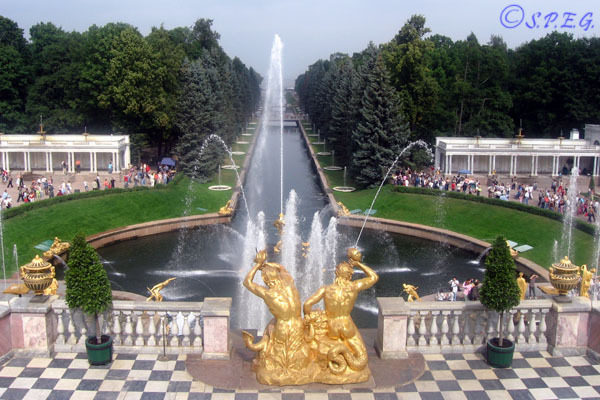 Often referred to as the "Russian Versailles", Peterhof Palace and Park is Russia's number one tourist attraction. The Grand Cascade in Peterhof outside St. Petersburg Russia. Built between 1709 and 1724 under the directions of Peter the Great, Peterhof has parks with a total area of 1,000 hectares, five grand imperial palaces, dozens of fountains, thousands of works of painting, sculpture and applied art. It remained one of the most important ensembles in the St. Petersburg suburbs, retaining its significance and brilliance even when European monarchies went into crisis and decline. The focal point of the whole ensemble is the jaw-dropping cascade fountain leading down from the palace and from there the park spreads out to the left and right along with a range of trick fountains all lined up. The town of Tsarskoye Selo, also known as "Pushkin" in honour of the great Russian poet Alexander Pushkin, is home to Catherine Palace and Park. The most famous Summer residence of the Russian Tsars. View of the Catherine Park in the village of Tsarskoye Selo. 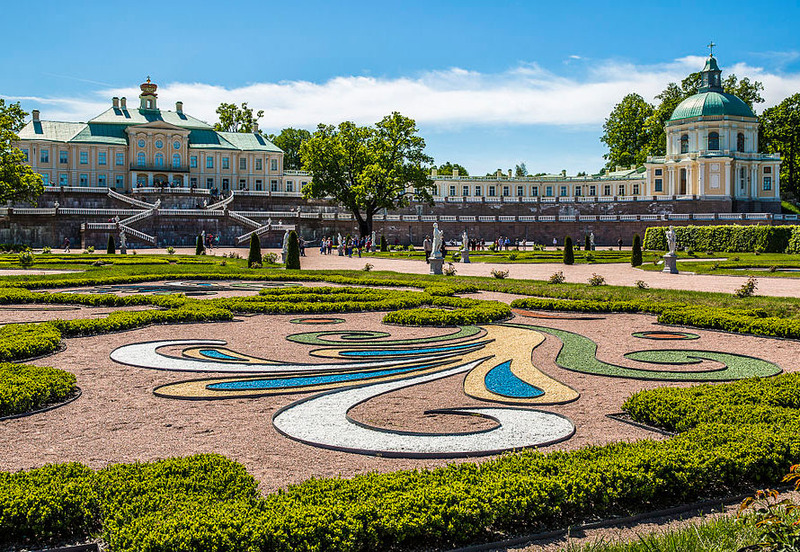 The Catherine Palace with its sparkling Amber Room and its beautiful park complex filled with unusual monuments and lakes are a gem of 18th century architecture created by Rastrelli for the Romanov family Tsars, so another of St. Petersburg's most famous attractions to add to your list. Here anyone can admire the luxury and excesses of the Russian Emperors! Next to the remarkable Catherine Palace you can find the quieter Alexander Palace where the last Tsar and his family spent their final days before they were arrested by the Bolsheviks, and the literary school museum where the poet Pushkin studied. Pavlovsk is one the most tranquil and relaxing Imperial estates near St Petersburg, as well as one of the finest landscaped gardens in Europe. Situated five kilometres to the south of Tsarskoye Selo, in a picturesque spot, this small Russian village hosts the fascinating Pavlovsk Palace, a superb palace and park ensemble ( 1,500 acre) dating from the late 18th to the 19th century. Tall trees, winding streams and endless paths scattered with classical sculptors and sided by benches make for many Russians, but also visitors like you, the best place to go for a picnic or a stroll with family and kids, especially during the Summer. Surely not as imposing as Peterhof, but less touristy, Pavlovsk can be a great place to get away from the hustle and bustle of city life. Far less touristy than other Imperial estates near St Petersburg, there is Gatchina, a Russian town located 45 kilometres southwest of the city that boasts the beautiful Gatchina Palace. Gathina, a busy small town with an austere look of a military institution, can make for a very pleasant half day trip for the whole family. The palace along with the park , which once was home to the Romanov family, is not so luxurious as the royal palaces in Pushkin or Peterhof, but is home to a variety of interesting temporary and permanent exhibitions, including a weaponry display, and a church at the top of Gatchina's main pedestrian mall. 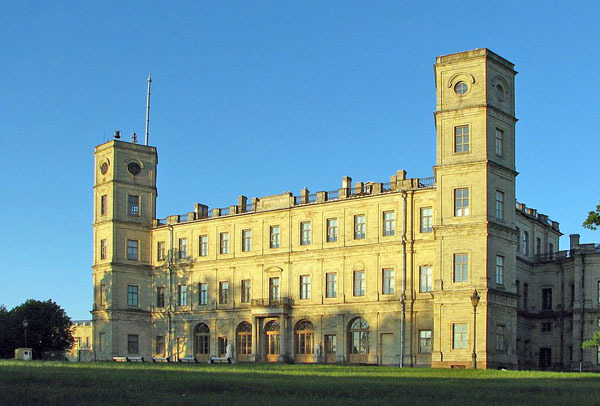 You should know that Gatchina's palace was badly damaged during the Nazi occupation, and restoration work is still continuing over 60 years later. Oranienbaum (Orange Tree) is another great spot to see although less popular among tourists. It boasts a charming park and a truly magnificent baroque palace, and is one of the oldest Imperial estates near St Petersburg that wasn't destroyed by the Nazis. In fact, it was the only residence in the environs of St Petersburg that was not under Nazi occupation during the war. The Great Palace is one of the most opulent examples of Petrine architecture and is one of the main attractions along with the Chinese Palace. The building was designed by the Italian architect Giovanni Fontana, and built in the 1710s-1720s under the direction of Gottfried Schadel. 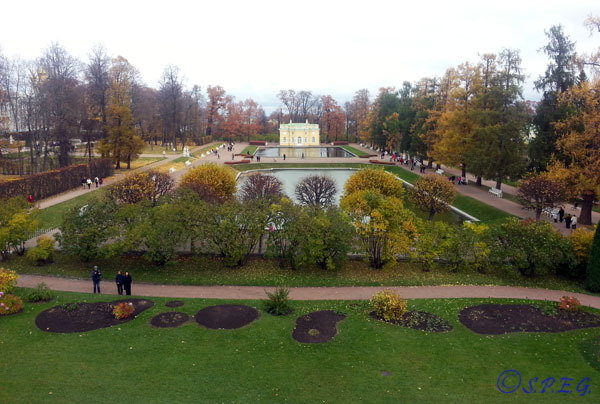 Oranienbaum, also known as Lomonosov, is worth visiting not only for its palaces and pavilions, but also for its history. Would you like to visit one of the Imperial Estates listed on this page?